Rabun County will soon be seeing a new state-of-the-art system called DRIVES, otherwise known as the Georgia Driver Record and Integrated Vehicle Enterprise System to upgrade and modernize the vehicle registration and titling system. The new DRIVES system will enable more self-service options, improve customer service, and enhance data integrity according to the Board of Commissioners. Beginning on the 23rd of May, some online vehicle services and location hours may be reduced in preparation for the system upgrade. The implementation of the new system will require the vehicle registrations and titling services to be unavailable May 23rd starting at 1 p.m. until May 28th. During June, customers may experience longer than normal wait times when visiting the tag office. Vehicle owners with renewal dates in May and June who normally renew in person are encouraged to do so prior to May 20th to avoid delays. After 1 p.m. the county tag office will not be able to process transactions. All online motor vehicle-related services including online tag renewal services will be offline May 21 – May 27. The Motor Vehicle Division will only be able to process Trip Permit transactions at the DOR Southmeadow facility. All other transactions including International Fuel Tax Agreements (IFTA) and International Registrations Plans (IRP) will be unavailable. 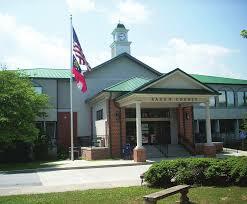 The Rabun County office will close at 1 p.m. on Thursday, May 23rdas the old system is closed out. In the first month of the DRIVES system, walk-in customers may experience delays and longer than normal wait times. To avoid such delays, Georgia residents with May and June renewal dates are encouraged to renew prior to Monday, May 20th. Customers and dealers seeking to conduct any titling transactions should complete their business at a county tag office prior to 1:00 on Thursday, May 23rd.